Third house represents brothers, sisters, intelligence, short journeys, neighbors, immediate or close relations, letters and writings. It also represents courage, right ear and breast, firmness, valor, prowess and heroism. 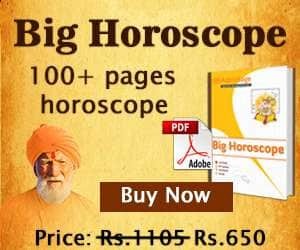 According to “Satyacharya”, the mental stability of the person, determination and speech are also seen through the Third House of the horoscope. As per “Sarvarth Chintamani”, it represents medicines, friends, education and short journeys in an individual’s horoscope. Rishi Parashara denotes this house as the house of valor and efforts. This house represents our mental inclination and ability, instability of mind, memory and inherent propensities of our mind. This house basically represents our inclination towards study or efforts made to gain knowledge. The sign which is governed by Third House in Kaal Purush Kundali is “Gemini”. The natural ruler of this sign is “Mercury”. Third house represents younger brother and sister, cousins, kindred, casual acquaintance and neighbors. Being the Sahayasthana, it investigates whether one is getting the support of others or individually working hard to accomplish his/her goal. Kalidasa says in Üttarkalamrit that Third House denotes battle, roadside place, confusion of mind, causing sorrow, soldier, siblings, throat, eating, ears, unspoiled or pure food, partition of property, part of hand between forefinger and thumb, female servant, journey in a small vehicle and one’s own religious responsibility. It is said in Jataka Parijatam that Third House tells about the welfare of younger siblings, tone, enterprise, ear, selective ornaments, articles of apparel, steadiness, valor, strength, edible roots and fruits. Third House represents the boldness, short travels (travel through cycle, bus, tram, railway, crossing rivers and lakes and short air travel). It represents all kind of correspondence and letter, papers, writing, accounting, mathematics, news of transit, means of communication such as cycle, bus, tram, rail etc, post offices, letter boxes, telephone, telegraph, teleprint, television, telecommunication, radio reports, signal, airmail etc. One of the twelve astrology houses, this house represents books and their publications. Hence, an individual can become an editor, newspaper reporter, information officer, journalist etc. in near future. It also signifies the change of residence, restlessness, transition and change, library, bookstore, bargain, signature (signing contracts or agreements), intermediator. It also represents hands, collar bone, arms, respiratory and nervous system. In Mundane Astrology, Third House describes transportation, telecommunication, postal services, neighbor countries and treaties with these countries. 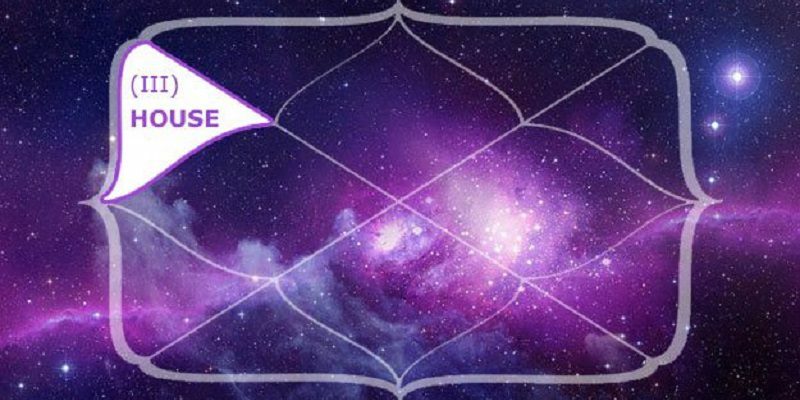 According to Nadi Paddhati, this house indicates the remarriage of native’s parent(s), if more than one planet occupies space in Third House. In Horary Astrology, Third House represents all forms of communication, whether by letter, postal delivery, telephone, fax or Internet. Third house in Astrology represents communication, speech, movement of hands, athletic ability long distance travel (only for “self” benefit). If you are using your hands to accomplish your tasks, it will be governed through the Third House of the horoscope. It represents driving, art, media, entertainment, road, performing any art, house of dictation, which means you’ll preach your close relatives or siblings in order to convey the message. Showing the way or road to perform any task or travel is seen through the Third House of the horoscope. It represents the effort made to increase the wealth. It is the house of mother as well. Though 4th house represents your mother, however, when you grow up then you no longer remain under the domain of your mother. Hence, your mother is also seen through the Third House of the horoscope. It represents the loss of happiness or home. It represents hopes, wishes and desire of your children (especially the first child), gains, achievement, awards of your children, jobs, career, administrative work, professional debt of your children, valor and courage to face your enemies, religion, gurus, teachers, counselor of your spouse. Third house represents transformation and death of your in laws in general. It is the 8th from 8th house hence, shows death like experiences. It represents spouse of your gurus, spouse of your father (that means your mother). It represents debt, illness, sickness of your bosses, children of your elder siblings, storage of spiritual karma. What can lead you to moksha, what makes you travel to foreign land, what makes you visit/admit in a hospital etc. 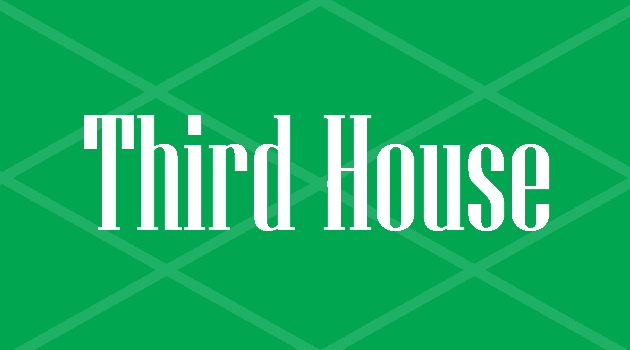 are represented by the Third House. According to its text, Mars is the natural dispositor of Third House but Mercury also rules over it. An individual will possess the same characteristic as driven by these both planets together. 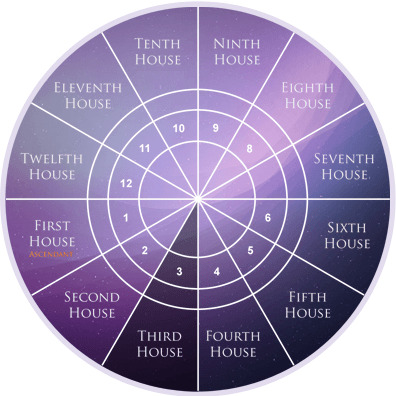 This house will be activated by the Lords of ninth and eleventh house. If these two houses are vacant, then Third House will remain inactive or neutral. It will not provide any kind of result. Hence Third House becomes prominent as it drives our messages to the world, inner circle of friends, through social media, entertainment, online sources, internet, cell phones, smartphones or any kind of communication devices, hence acting as a mediator.